Did you save the date? We told you to save the date! 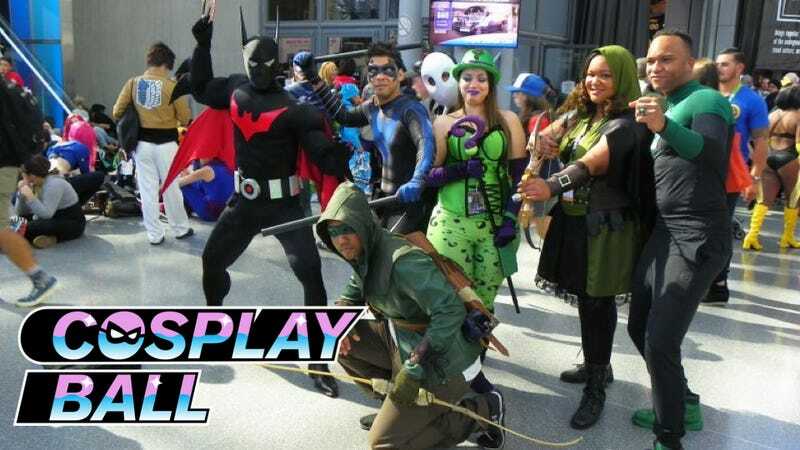 And now we have details about how you can come party at io9 and Kotaku’s Cosplay Ball, being held Thursday, October 6, at this year’s New York Comic-Con, as well as how much you’ll be partying once you’re there. If you’re 21 or older, willing to arrive in cosplay, and you RSVP here, turns out it’s quite a bit! Free dancing, courtesy of DJ Cutman! A cosplay photo booth, with photographer Anna Fischer! A comic book corsage station, which is a station where someone will make you a corsage out of comic books! Yes, really! There’ll also be a Cosplay Contest, judged by: Master builder Jimmy Diresta! Thomas D. Petrillo, a.k.a. Extreme Costumes! Pro cosplayer D.Piddy! And photographer Anna Fisher! Prizes include an Xbox One, a Playstation 4, and more—and on top of that, the first 10 people dressed up as a Dragon Ball character will get a free copy of Dragon Ball Xenoverse 2! So RSVP here [Update: the list is now full. Thanks to all who replied so quickly! ]—and remember, to get in, you must be 21 or older and you must come in costume (it is a Cosplay Ball, after all). We hope we’ll see you there!